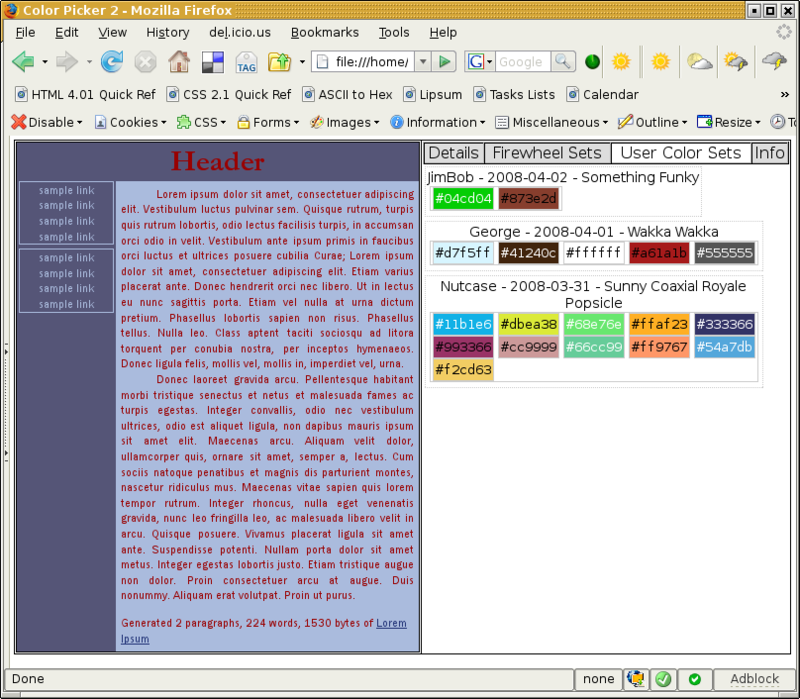 I've decided to do a complete overhaul on my Color Picker App as I'm wanting more functionality out of it. There are a number of things I definitely have planned for it, but I'm wanting to get some ideas from other people... Because like the original, I'm probably forgetting a couple things that might make it more user friendly. 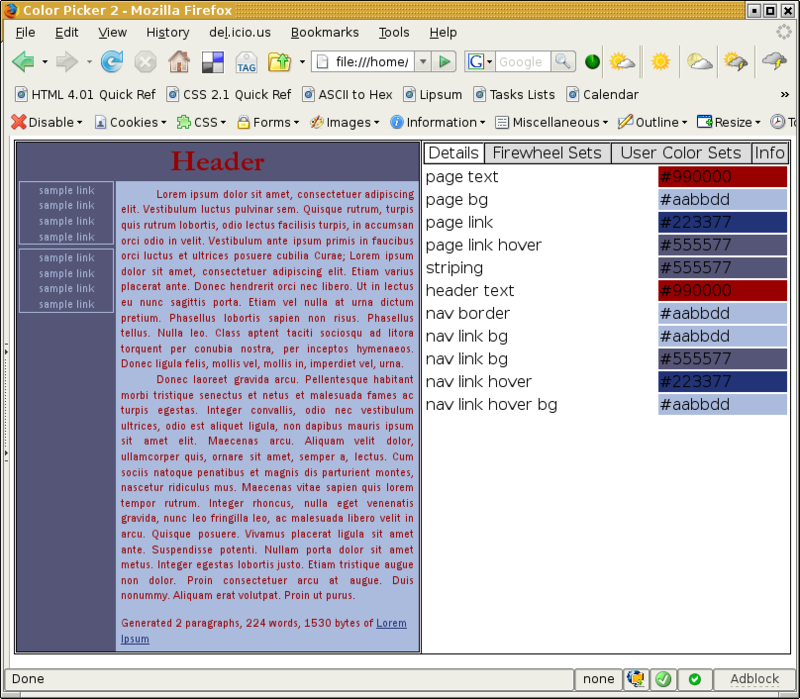 Currently the color sets require 4 colors & are currently pulled from Firewheel Design's ColorBurn widget's daily xml feed (cached locally on my server). I'm planning to keep this, but allow color sets to have 3-6 colors (maybe more or less?). 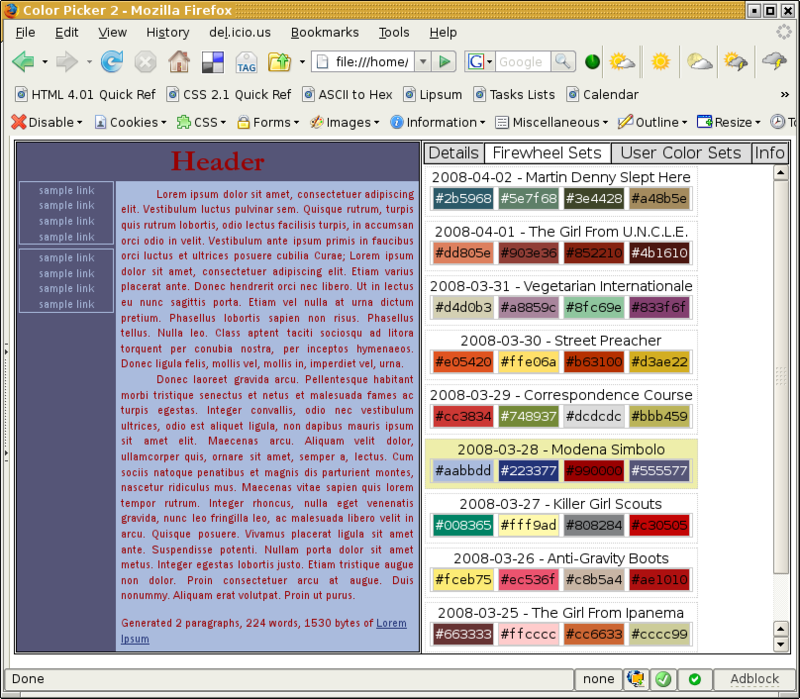 I'm planning to replace the far right & middle panes with a tabbed interface allowing for the expansion of possibly additional sources for color sets. If anybody has any suggestions for relabeling the details in that middle pane I'd like to hear them. I'd also like to hear any suggestions for changes to the current display pane. I'll put some pictures up later as a visual reference to what I want to do with the interface. Sorry for taking so long to update this. 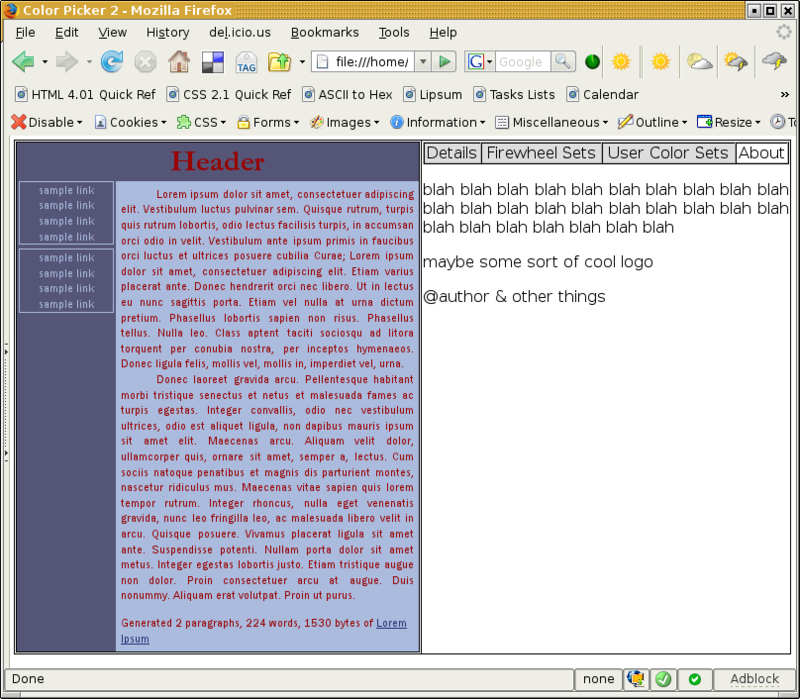 I had been working on a couple of graphics and then decided to do an html version instead. Then I got side tracked with several job interviews... After which I decided to go ahead & post the graphics I had initially done only to discover I don't know where they've disappeared to (I may have even deleted them due to deciding to do an html version). I quickly finished off the html today and took snap shots as it's not interactive in any way (I'm manually changing, between snap shots, what's commented out to hide unused tabs & display the selected tab).